There’s nothing like a comic TV show to let us live vicariously through our favorite larger-than-life characters, and Marvel’s Agents of S.H.I.E.L.D. has quite an ensemble to choose from. Now, a select few fans will also have the chance to join the cast of S.H.I.E.L.D. and live the dream themselves, no vicariousness needed. Three super fans will compete to play an agent on the show, and the rest of us will get to watch their adventures via the Marvel’s Agents of S.H.I.E.L.D. Academy web series on ABC's site. The web series will consist of five episodes that follow the three super fans as they tackle challenges that a S.H.I.E.L.D. agent might face. 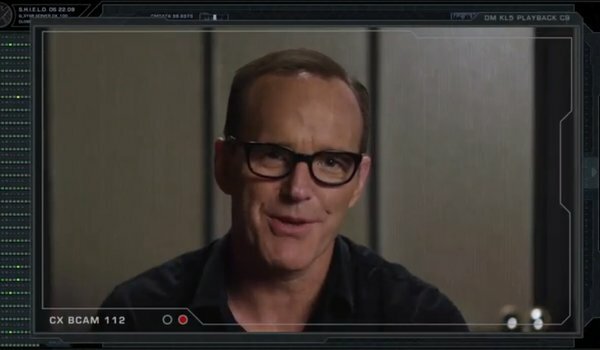 The first episode features the civilians accepting the challenge from Director Coulson himself, and they get off to an exciting start. You can check out the footage here. We haven’t seen much of the different branches of the S.H.I.E.L.D. Academy on the series, but it certainly doesn’t look like the three contestants will be facing the same sort of challenges given to Fitzsimmons at the Science and Technology division. In fact, the contestants had better have some real Agent May mettle to them if they want to make it through the missions ahead of them. That’s not to say that they won’t be getting any assists from May, Fitzsimmons, and/or any of the other S.H.I.E.L.D. regulars. Stars will be appearing in the web series to support the Academy recruits on their journey from civilian to agent. If Clark Gregg showing up as Director Coulson is any indication, the web series will definitely be featuring bigger names than the extras behind the lab techs and disposable field agents. There’s no saying just how the person who ends up top of the class at the Academy will join the show, but hopefully he or she will get more out of the experience than putting on a red shirt and being killed by Hive/Ward after a minute or two on screen. Judging by the preview montage of tasks, the victor at least deserves to survive. Of course, even the two recruits who don’t win the chance to join the team on S.H.I.E.L.D. will doubtless have a lot of fun shooting the web series. In addition to featuring cameos from characters, the physical challenges of the Academy will often recreate stunts from past seasons of the show. There are certainly plenty of action sequences that the web series could use to test the three hopefuls, and it should be entertaining to watch them try to use all of their mental and physical abilities to endure the training. Marvel’s Agents of S.H.I.E.L.D. Academy has four episodes remaining. The next installment will be released on March 23 at 9 a.m. PT on ABC.com. Be sure to tune into the recently-renewed Agents of S.H.I.E.L.D. on Tuesday nights at 9 p.m. ET on ABC to see just what the contestants might be in for at the Academy.